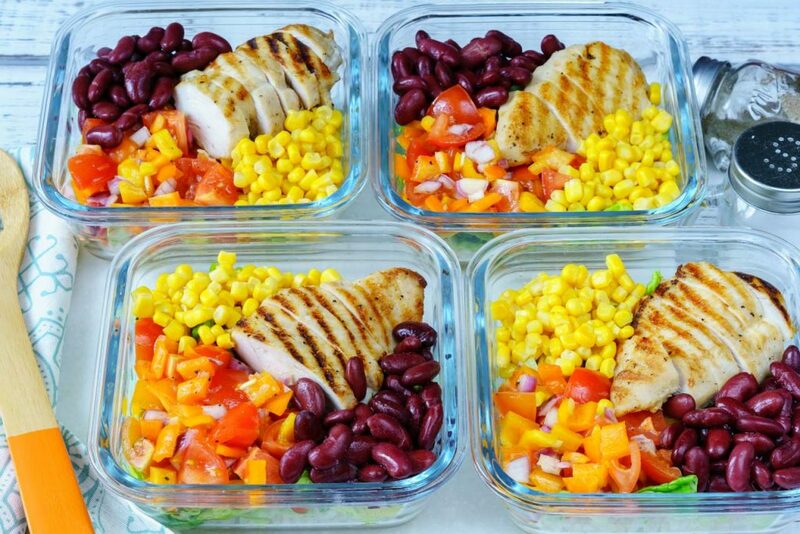 Clean Eating Meal Prep: Deconstructed Chicken Burrito Bowls! 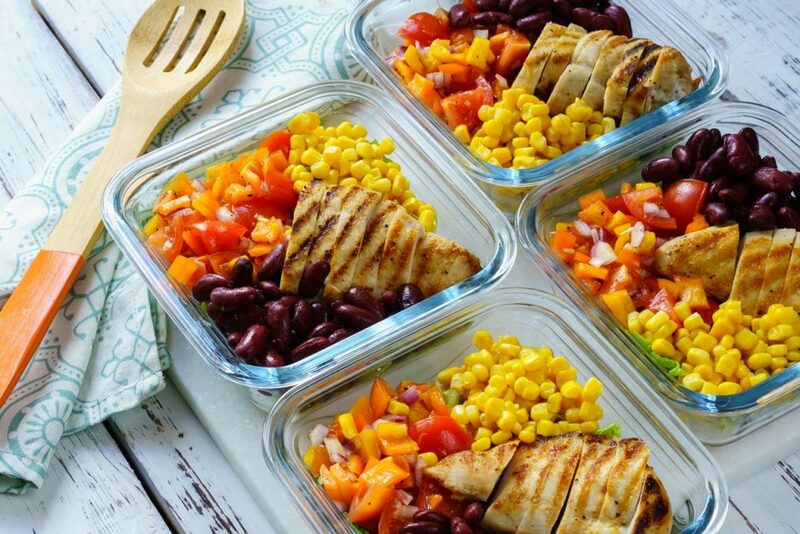 Here’s a Meal Prep recipe that will keep you MOTIVATED to Eat Clean! In a medium bowl mix the chicken with the olive oil, taco spice mix. Heat a grill, griddle or pan on medium-high heat, place chicken on grilled and cook for 5 minutes on each side or until cooked through. Remove from heat and set aside. While the chicken is on the grill chop all of the veggies, and salad. 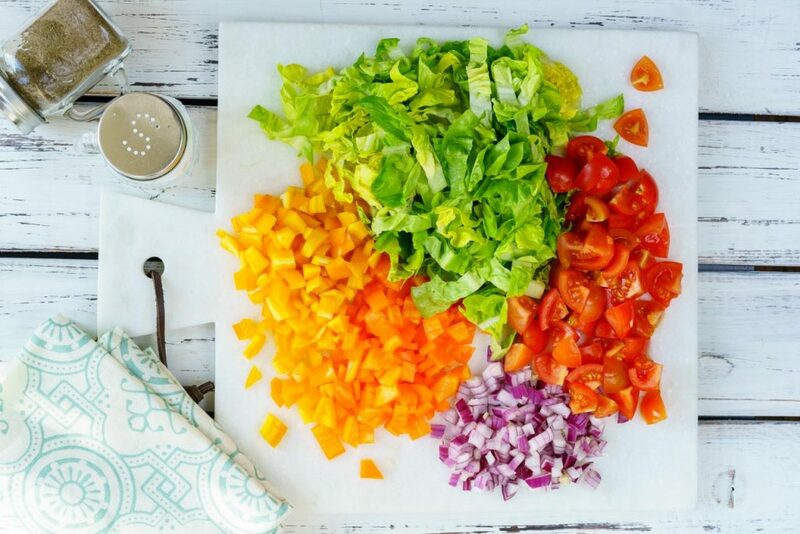 In a medium bowl make the burrito salad by mixing the tomatoes, pepper bell, onion, salt, pepper, 1 Tbsp olive oil and 1 tsp garlic powder. Toss well to combine. 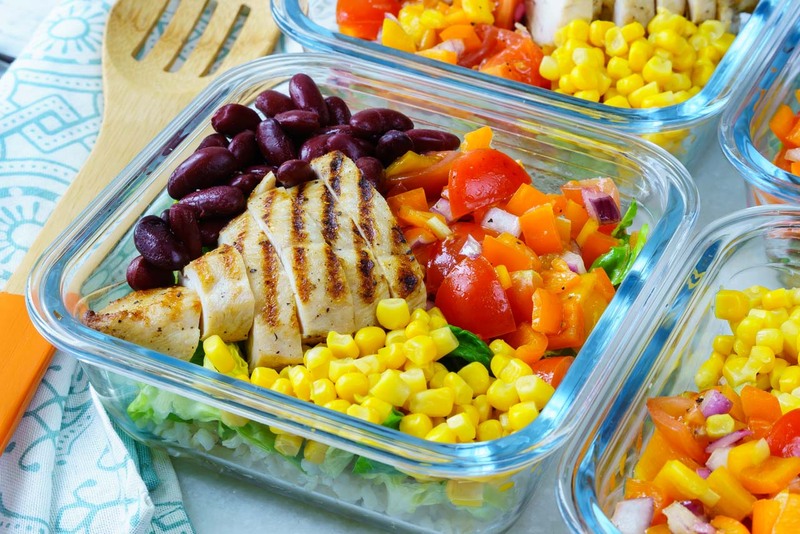 To arrange the deconstructed burrito: divide the cooked brown rice equally between your bowls/containers, add chopped lettuce, burrito salad, sliced chicken, black beans and corn. 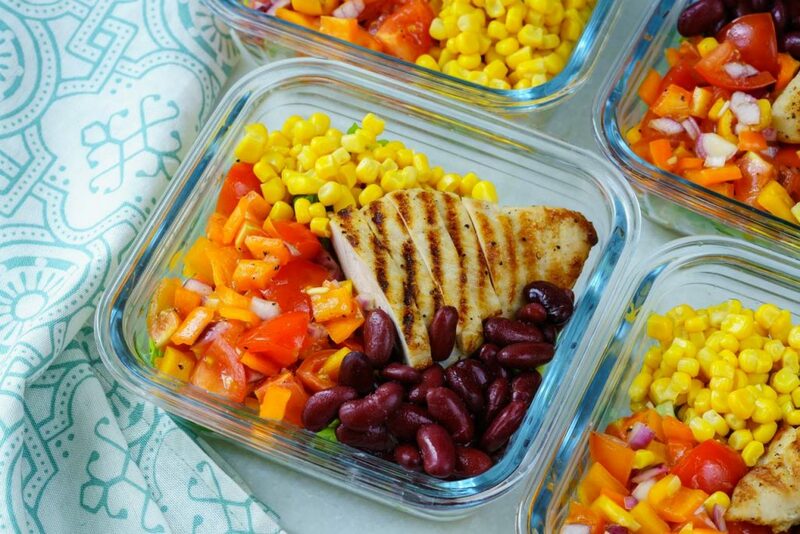 Get yourself some glass or BPA free sealable containers that can easily be stacked and stored in your fridge. 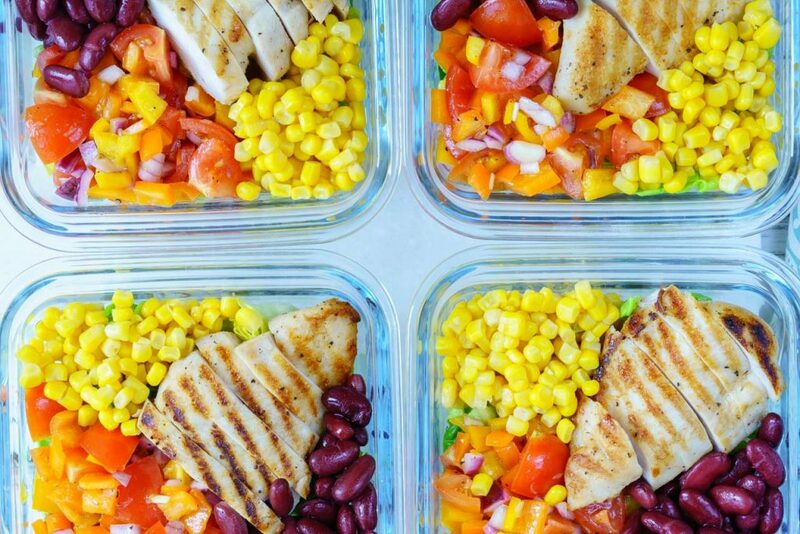 You’ll get 4 meals out of this recipe!